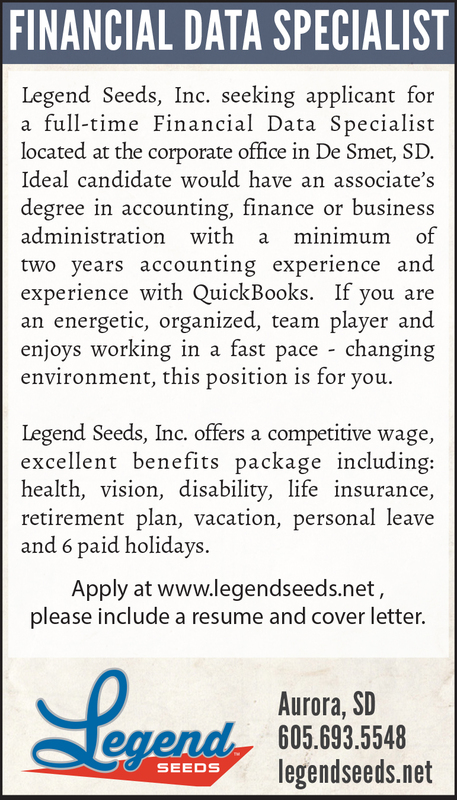 Legend Seeds has Financial Data Specialist position available. 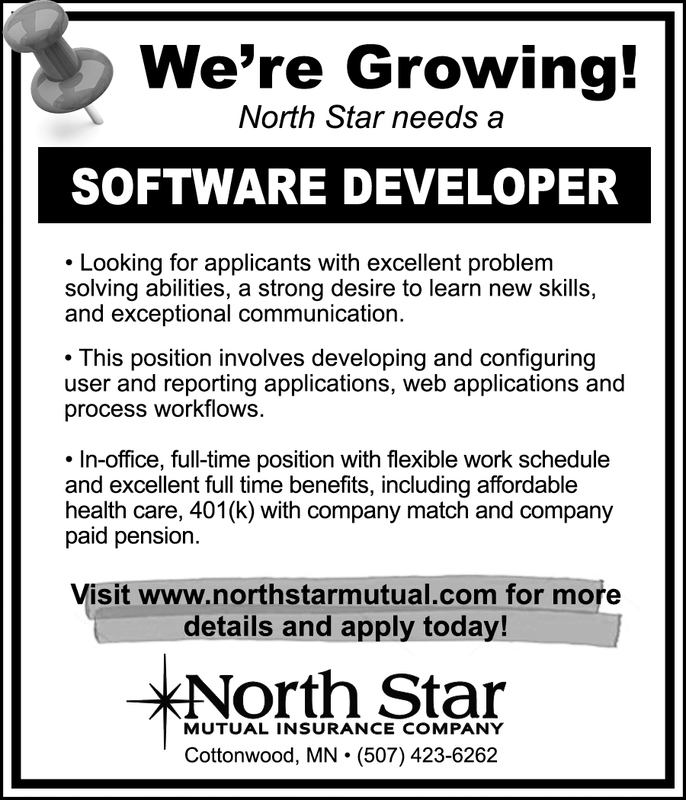 North Star Mutual is looking for a Software Developer. 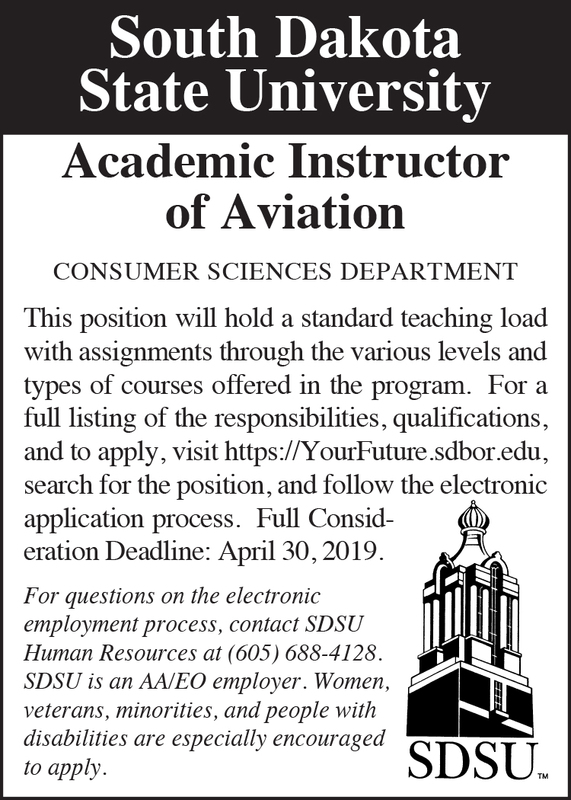 Academic Instructor of Aviation position available. 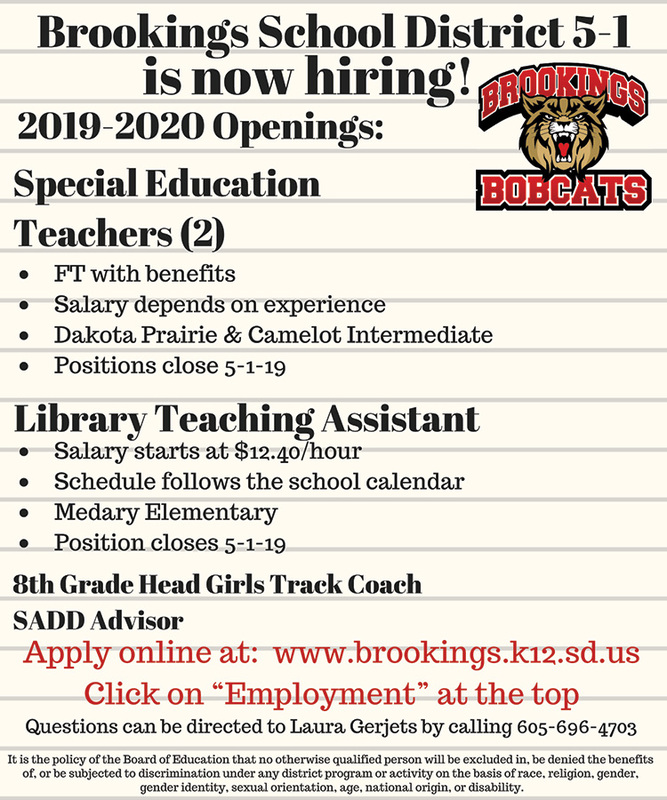 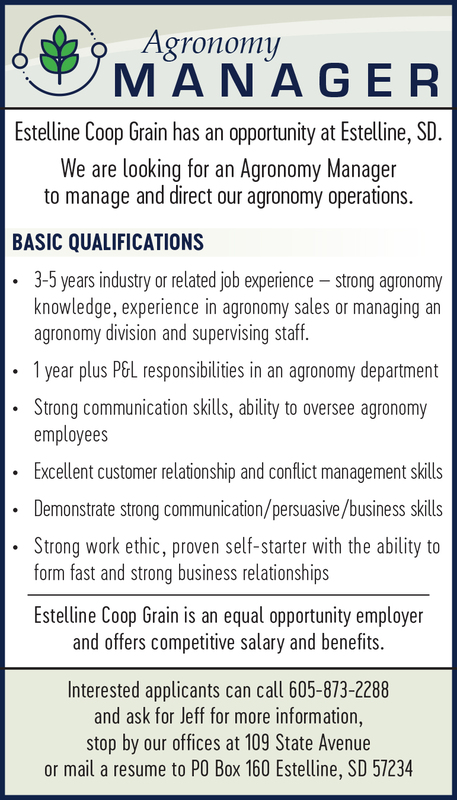 Howe is looking for seasonal help in Brookings. 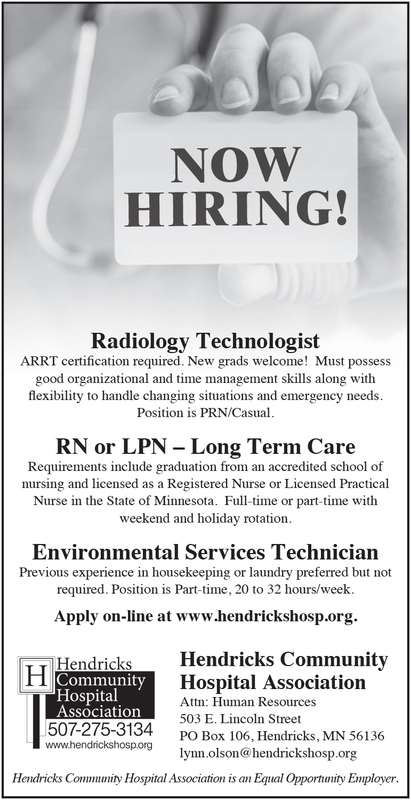 Hendricks Hospital is looking for qualified candidates to fill three openings.